I love where I live. I feel fortunate that we ended up in Niigata for many reasons - but one of the reasons I enjoy it so much is because of the sheer natural beauty in the local area. 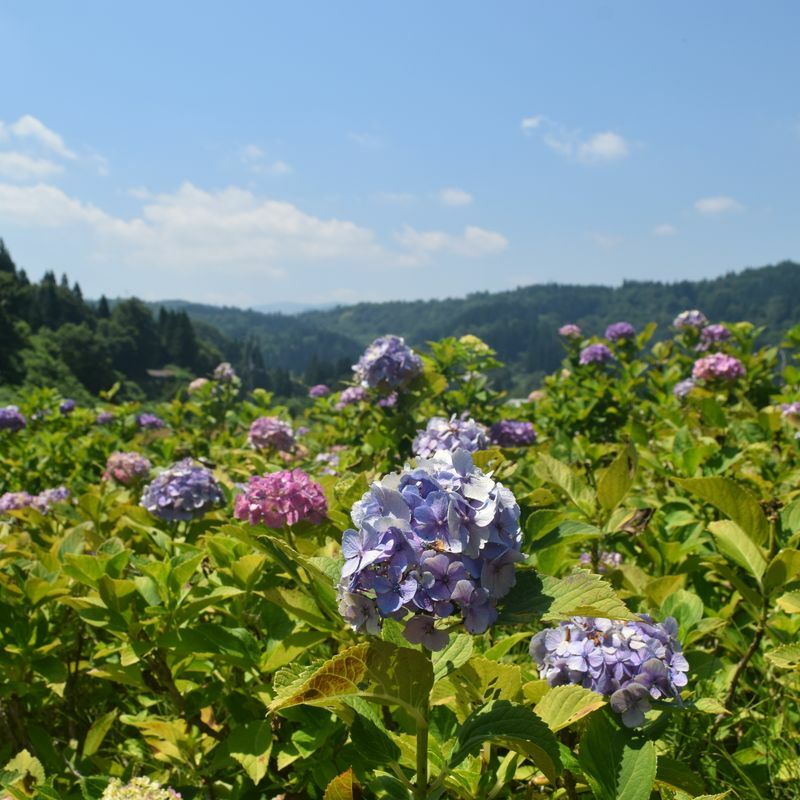 We headed out today from our town in Minamiuonuma across to the neighboring Tokamachi area, and found ourselves constantly having to stop and pull over to admire the views (and snap a few pictures, of course). One thing I got pretty excited about was the fact that we randomly stumbled across an ajisai park here on our drive back home. Ajisai are one of my favorite things about the rainy season in Japan, so I was pretty chuffed to see that there were still a whole host of them blooming out here -- despite that fact that the rainy season is long gone and today is a scorcher set to hit around 35 degrees celsius. Some of the ajisai were looking a little worse for the wear, but I was surprised to see most of them still kicking on half way through July. It's not just parks though that have beauty by the bucketload out here though - we find that just looking out the window when we drive has us oohing and ahhing in wonder. 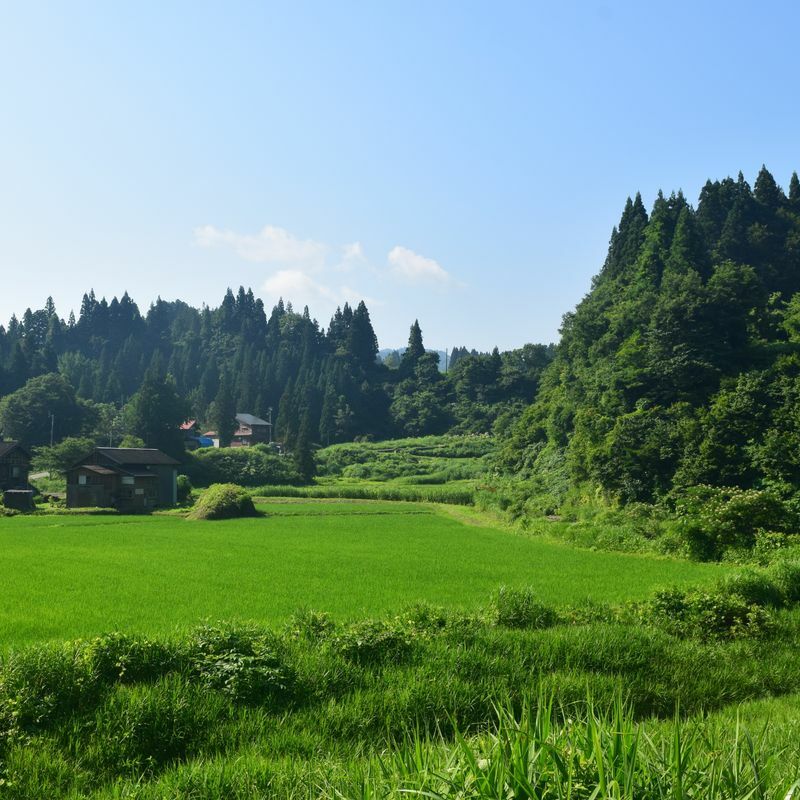 There are various shades of green, from the deep forest greens of the trees through to the almost neon greens of the rice fields growing, set against the perfectly blue summer sky - it's one of those situations where a photo is hard to do the scenery justice. 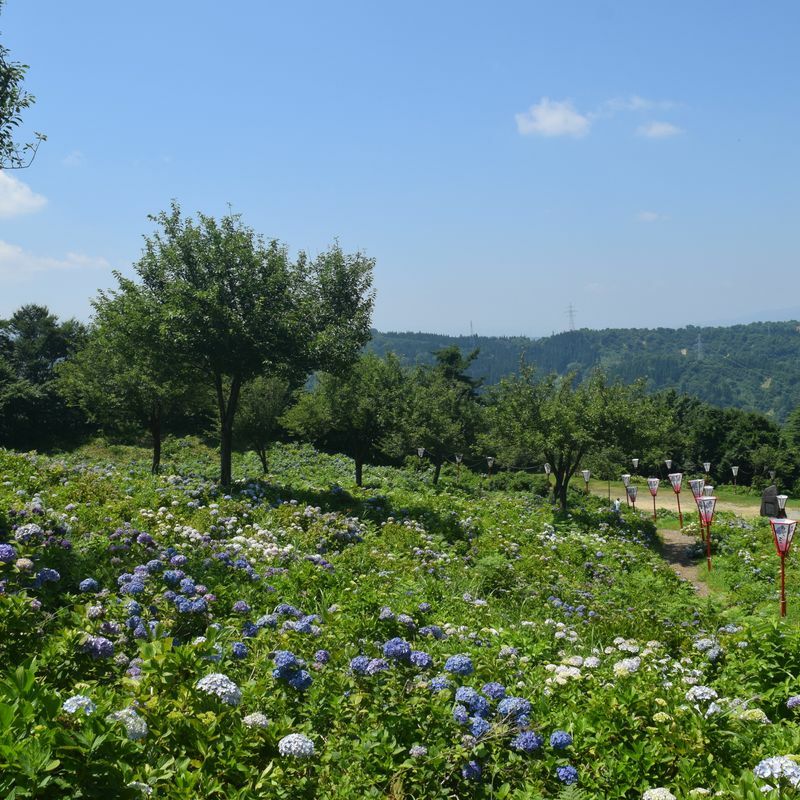 It's also incredible to us just how much the Niigata area changes from season to season - it really makes you appreciate the differences from month to month. Many of the roads that we were out driving on today will be completely covered in snow in six months time! 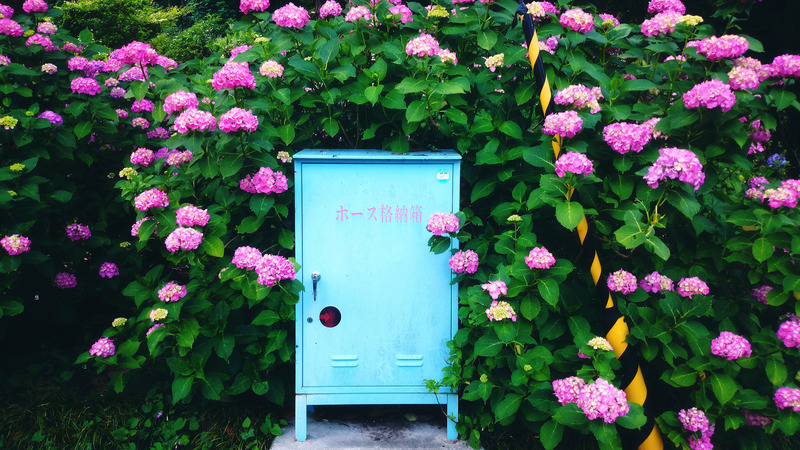 Do you have some favorite spots in your local area when it comes to natural beauty? @ReishiiTravels so many of the more countryside locations don't get much tourism and it's crazy to me that they don't! I love Gifu too, although I've mainly spent time at Shirakawago and Hida Takayama which are probably the most touristy spots there!